The project charter is used to define and to formalize the sponsor’s expectations of the client or project (project manager authority). Which means to consider all elements needed to unite a team and well start the project. 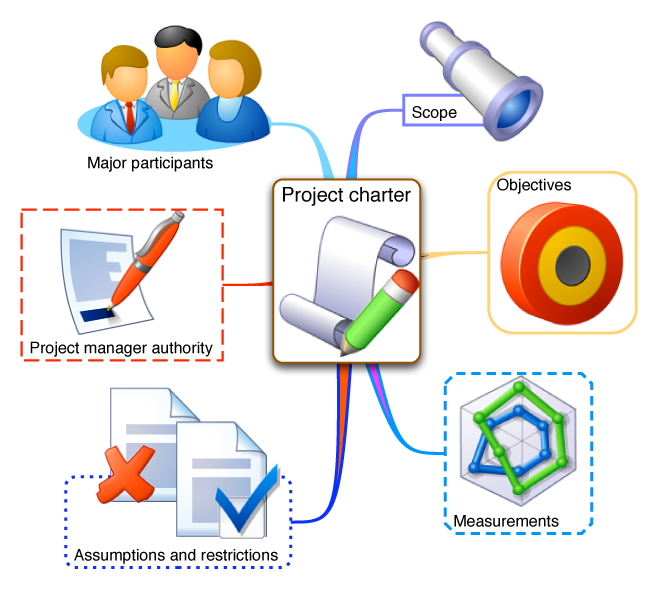 The project charter is a document that can be modified throughout the project. Indeed, if the needs or priorities change, if the environment changes, then it is important to take into account those changes in the project charter and to continue the project by incorporating these changes.